It is a common misconception that SERVPRO® of Pike, Floyd & Knott Counties only does water, fire, and mold damage. Residents of Prestonsburg, Pikeville, Hazard, Inez, and more: We do carpet cleanings too! Carpets, especially those in high traffic areas, can get worn down quicker than you know it. Carpets can make a room look old, dingy, and even dirty. Your carpets are some of the first things guests notice when they walk into your home. Carpet cleanings can also keep dust and allergens at bay. If you are in the market for a fresh, clean carpet look --consider calling a professional. 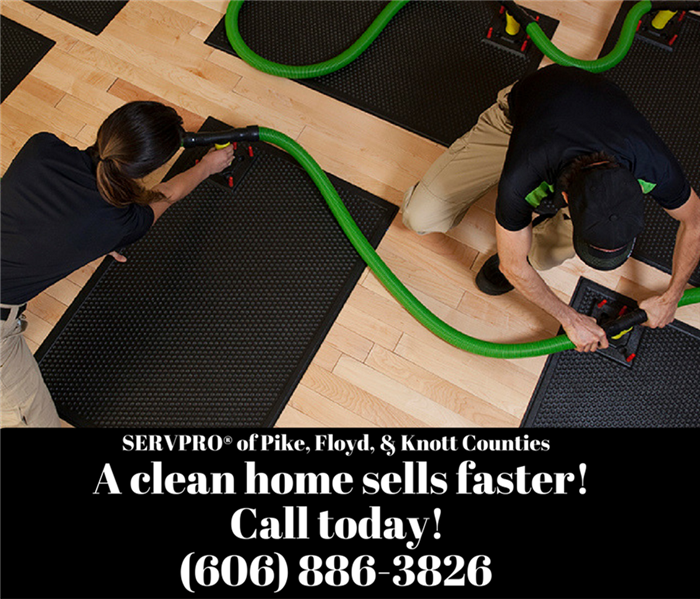 If you need your carpets cleaned, call SERVPRO® of Pike, Floyd & Knott Counties today at 606-886-3826.